purification roles in avidin/streptavidin-biotin binding mechanisms. 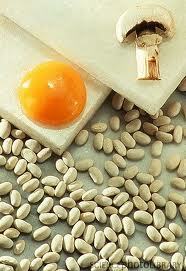 Biotin, also known as vitamin H or B7, is a water-soluble B-complex vitamin. Biotin is a cofactor in the metabolism of fatty acids and leucine, and it plays a role in gluconeogenesis. Storage: In tight containers, keep in cool & dry place, avoid strong light and heat.